Descriptive analytics that explores what has happened by analyzing historic data and understanding past business outcomes. Predictive analytics that attempts to understand what might happen in future through modeling and forecasting. Prescriptive analytics that identifies and advises on possible and likely outcomes before decisions are made. For supply chain management, descriptive analytics is a useful way to look at the past and optimize supply chain operations. However, it’s the relatively new fields of predictive and prescriptive analytics that can unlock real value in the supply chain. These types of analytics help analyze, model, predict and prepare for future changes in the supply chain. Those insights become part of continual improvement initiatives that reduce waste, streamline processes and minimize costs. Predictive and prescriptive analytics are an important part of artificial intelligence and machine learning implementation in the supply chain. Supply and demand vary greatly based on seasonal trends, promotions, consumer needs and other factors. Predictive analytics helps supply chain managers understand what future demands are likely to be, while prescriptive analytics analyzes the likely impact on inventory levels based on specific demand-planning decisions. 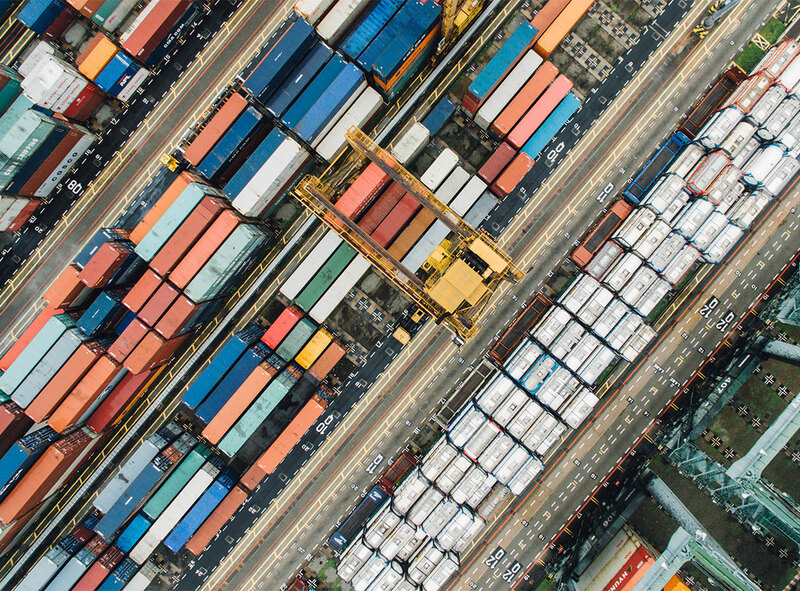 With predictive analytics from the monitoring of various shipment events, supply chain managers can accurately predict ETAs and properly plan the movement of their goods. With prescriptive analytics, exceptions are flagged and predictions are made to improve supply chain performance, resilience and responsiveness. Predictive and prescriptive analytics remove the disconnect between supply chain operations and financial results. Modeling inefficiencies in the supply chain and linking that back to costs allows a business to accurately understand how delays and quality issues directly impact revenue and profits. Supply chain management uses analytics to understand existing bottlenecks, delays and issues with quality throughout the supply chain. Prescriptive analytics explores how specific changes will impact on supply chain operations and outcomes, allowing for recommend improvements. Weather-related, geopolitical, policy, environmental and other factors significantly impact on the flow of goods through the supply chain. Predictive analytics gathers data from all of these areas and suggests how environmental factors are likely to increase costs, delay the flow of goods or cause other issues. This helps to improve risk management and mitigation planning in the supply chain. Better supply and demand planning resulting in optimized manufacture, distribution and inventory management of products. Enhanced consumer satisfaction due to better product availability at all times. Improved understanding of likely supply chain risks resulting in strong mitigation and contingency planning. Reduction of bottlenecks, delays and quality issues in the supply chain through a process of incremental change and continual improvement. Greater understanding of the financial implications of specific supply chain decisions. What to measure – What particular current and future data points will provide the right insight for good business intelligence? How to measure – Is the data of a good quality and captured in a consistent and reliable way? Why you measure – Can the data be linked to specific supply chain and business outcomes? How to model – Are the predictive and prescriptive models tested to ensure reliable outputs? What to act on – Are stakeholders able to act on business intelligence delivered by predictive and prescriptive analytics? Once these challenges are overcome, predictive and prescriptive analytics will deliver a strong competitive advantage, together with much-improved control over every aspect of the supply chain. Manufacturers can understand potential risks to the flow of raw materials and change their manufacturing plans accordingly. Distributors can use prescriptive analytics to optimize fleet management and ensure efficient route planning based on likely changes to traffic and other factors. Retailers can use predictive analytics to understand likely trends in consumer demand and ensure they have enough stock. Retailers can enhance customer satisfaction by ensuring they do not run out of inventory during busy periods. Prescriptive analytics can reduce waste and inefficiencies, resulting in higher profit margins for all supply chain stakeholders. Senior management can make informed business decisions based on prescriptive analytics that take financial implications into account.